The Full Circle Parenting Program brought family and life skills lessons to 28 students at St. Helena Central High School, in Greensburg, as they ended the school year. Parent educator Delores Johnson taught the teenagers how to create functional resumes including a reference list and cover letter. They discussed the advantages of obtaining background information on a prospective employer, as well as, how and where to search for a job. With assistance from Southern University Ag Center agents, the students completed job applications to learn how to properly complete. During the two-hour session the students discussed practical budgeting and developed personal spending plan. They learned the importance of good credit and why they should begin the habit of checking their credit reports even as young as 16 years old. “These youth will be in search of summer jobs. Having received the proper information they are more likely to succeed in their job search,” said Johnson. Yadong Qi, PhD, professor of urban forestry, was an invited urban forest expert and speaker at the 6th China Urban Forest Forum in Hangzhou, China, last month. 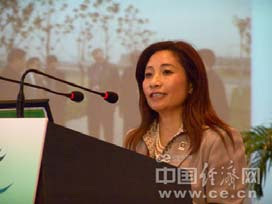 Qi presented “Current State of Urban and Community Forestry in the USA.” Her presentation was featured by Chinese premier websites and news agencies including the China Economy Daily News and its website, the State Forestry Administration of China website among others. In addition to attending the forum, Qi was invited by the Chinese Academy of Forestry to visit the mulch research and demonstration sites in Hangzhou, Nanjing and Beijing. The mulch project is a collaborative project between Southern University Ag Center and Chinese Academy of Forestry. The goal of the project is to promote sound urban forestry practice and scientific and technical exchange in urban forestry. The project has been funded by the State Forestry Administration of China since 2005. China, because prior to this research, mulch and its utilization were very little known to the Chinese urban foresters. This collaborative project will yield fruit promoting sound urban forestry practice in cities and towns of China,” said Qi. According to Wang Cheng, PhD, director of the Chinese Academy of Forestry Center of Urban Forestry Research, “the project has involved various urban forestry practitioners from several municipalities, state and government as well as the graduate students from the Academy. The project has generated research data on mulch effects and utilization and produced a Technical Manual on Mulch Production and Utilization for China.” The sponsors of this year’s forum included: the State Forestry Administration of China, the Population, Resource and Environment Committee of the Chinese People’s Political Consultative Conference, the People’s Government of Zhejiang Province, and the Economic Daily. When Keenon Batiste, 12, made his first visit to the air traffic control tower at the Baton Rouge Metropolitan Airport on Friday, he watched the movements of a plane on a radar screen. Moments later, Batiste grabbed a pair of binoculars to get a closer view of the airplane. “I see it. Cool,” said Batiste, who pointed at a private plane, followed minutes later by a commercial airliner. 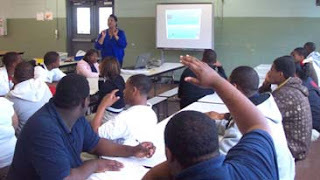 Batiste joined 29 other students, ages 12 through 17, who were participants in, “Do You Believe You Can Fly” Aviation Youth Clinic, which is part of a three-day Southern University Ag Center Family and Youth Expo program which ends today, said Edna Lastrapes, youth agent for the center. The clinic introduces students to the world of aviation, she said. 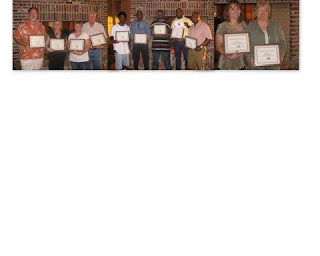 Eleven farmers from five parishes completed the 10-week Master Cattleman program organized by Glenn Dixon, agent, East and West Carroll parishes. The class helps aspiring cattlemen and current producers learn best management practices for producing high quality beef in an environmentally beneficial way. The course was conducted via distance learning in collaboration with the LSU AgCenter. The participants represented West Carroll, Richland, Morehouse, Ouachita, and Franklin parishes. For more on the program contact Dixon at 318-559-0060 or 318-428-3571 or glenn_dixon@suagcenter.com. Thirty youth participants of the Southern University Ag Center's Family and Youth Expo will have an opportunity to take simulated wings and fly during a special session next Friday, June 19, 9 am. The "Do You Believe You Can Fly? Aviation Clinic" will introduce pre-teens and teenagers to the world of aviation as part of the two-day expo activities. Louisiana aviator Al Rutherford will share insight on aviation and provide a tour of the Baton Rouge control towers, airport hangers, and Coast Guard helicopter. Participating youth will learn about career opportunities in aviation and how to become certified pilots. They will also simulate an actual flight thanks to the state department of transportation and development. This clinic is limited to the first 30 Youth Expo participants who calls the Southwest Center for rural Initiatives at (337) 943-2410 or emails edna_lastrapes@suagcenter.com to register. The 2009 Family and Youth Expo, is the Ag Center's culminating youth development activity for youth throughout the state. The youth will participate in competitions, seminars, and workshops, June 19-20 in Baton Rouge. Southern University chancellor Kofi Lomotey will be the keynote speaker, and youth will display a parade of parishes and the lessons they've learned from Ag Center agents.